Our April event finds us on the road again (alright, around the corner) and back at The Triangle in Shipley. 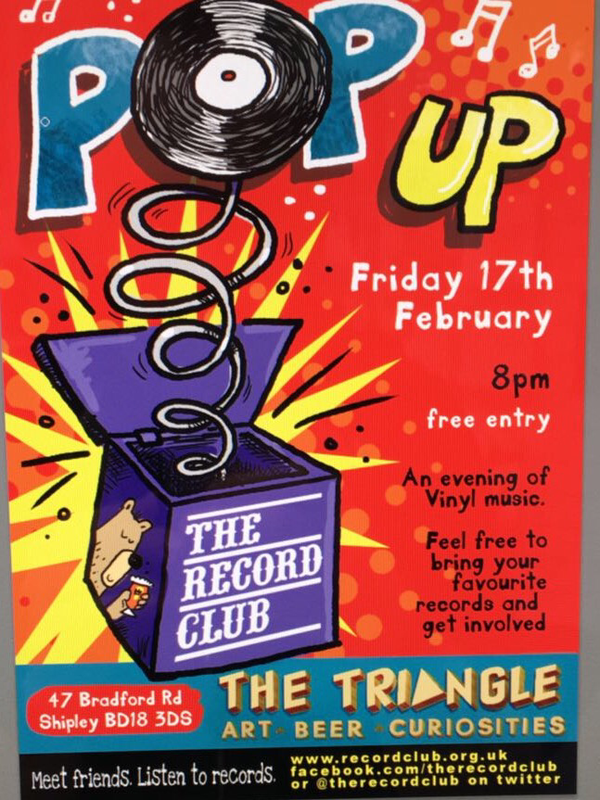 They are celebrating their 2nd birthday and have asked The Record Club to pop up on Friday 28th April. After the fine time we had back in February (and September last year) how could we say no! This time around we are very pleased to welcome Bob Stanley from the very excellent St Etienne, (pictured left with bandmate Pete Wiggs) who will be providing a DJ set during the evening. For the rest of the night the turntables are open to free play. But it’s free play with a difference. For those interested in playing some of their own tunes we’ll break the rest of the evening down into short sets, a bit like we did with our 7×7 night. If you’d like a spot (around 20 mins) then do get in touch beforehand and we will do our very best to allocate you some time. It’ll be more or less first come first served, so please do get in touch before the night itself if you are interested. The list is already growing. Just want to be there and chat / listen / dance? That’s cool too! As it’s a pop up there is no entry donation. If you don’t know about The Triangle (where have you been??) they class themselves as a “Bottle Shop/Art Gallery/Record & Curiosity Shop/Coffee & Cake Specialist” and “selling the finest beers known to humanity”. Which we think is a fair description. Non-beers are also available to purchase of course. You can find The Triangle at 47 Bradford Rd, Shipley BD18 3DS. Things kick off at 8ish and finish no later than midnight. Hope to see you there! For February’s event we are a week earlier than usual and in a different venue. Confused? Nah, thought not. Not that hard really. So, we’re popping up at our old friends The Triangle at 47, Bradford Road, Shipley. 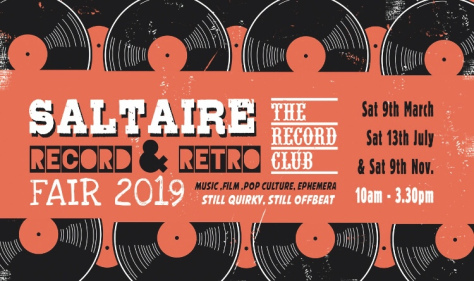 We spent a great evening there in September as part of or Saltaire Festival Pop Up event so we thought we’d do it again. And fortunately The Triangle agreed. Could have been awkward otherwise. This one is a free play night so bring along whatever you fancy, spin it on the pre-loved decks (or ask someone to do it for you) and enjoy great music, glittering company and a range of outstanding beers (non-beers also available). See you at 8pm on 17th February.